Applying to an American university can seem like an overwhelming task to an international student. However, with the appropriate amount of planning, preparation, and support from a Bridge Academic Advisor, you can be confident about receiving a letter of admission from the moment you submit your application. It is important to remember that the best American universities are highly competitive and taking the time to submit an organized, thorough application package will differentiate you from the less qualified candidates. The following items are the basic requirements for applying to an American university. Graduate, or master’s degree, programs tend to require a more extensive application package and are much more selective due to their smaller size. 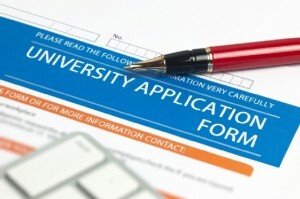 Complete an International Student Application for the university. These can usually be found on the university’s website and require accurate personal information such as date of birth, foreign and domestic address, email address, phone number, and educational history. Make sure that all this information is accurate and up-to-date. If you are found to provide false information on your application, you will not be considered for admission. Additionally, some universities will require a supplemental application specifically for the graduate department (for master’s degrees) to which you are applying. International student applications typically have an associated fee of $50-$100 USD. Before submitting an application, determine the cost of attending the university for one academic year, including the cost of housing, food, and personal expenses. All American universities require proof of financial capability before they can issue an I-20 document for international students to attend. The cost of university study can vary greatly in the U.S. Financial capability can be demonstrated through one or more personal bank statements or a letter of financial support from a government or employer. There is usually a document called International Student Declaration of Finances that must be submitted with the application. Obtain and submit your official transcripts, or official records of your educational history. These records need to be issued directly from your secondary school, and/or university where you completed your undergraduate (bachelor’s) degree. They should bear the official stamp of the institution and indicate all courses completed in all years that you attended. Many American universities require that these documents be sent directly from the institution in a sealed envelope. Note: sometimes official copies are sufficient for the university to make an admission decision and the original documents must be submitted before enrolling in courses. Remember that even if you don’t want to transfer credits that you have already earned, you must indicate all post-secondary, or university courses that you have taken. If you do not indicate that you have previously attended university, your application may be denied. Many universities will also require your transcripts to be evaluated through an approved transcript evaluation service such as WES (World Education Services). Demonstrate English proficiency through official test results or completion of Bridge’s approved Intensive Academic English Program. If you are applying to one of Bridge’s preferred university partners, completion of the Bridge Academic English Program may allow you to waive the IELTS or TOEFL requirement. If the university requires an official IELTS or TOEFL score, you may need to have the scores sent directly from the testing agency to the university. Information on how to submit your scores is usually available on the university website or can be provided by a university admissions advisor. Graduate programs, and some undergraduate programs, will require additional documents to better assess your academic and personal potential. A Personal Statement is a common supplement that allows you to provide information in written form about who you are and what you have accomplished. This is a good way for you to differentiate yourself from other applicants and increase your chances of being admitted to the university. Some universities will provide specific topics that allow you to express your goals during academic study or your professional aspirations. A resumé or CV is another supplement which many graduate programs require. Certain programs will require a minimum amount of professional experience that can be documented and shared through your resumé or CV. Finally, letters of reference or recommendation from previous professors or employers allow the university to assess your academic potential from the perspective of those who know you. It’s important to remember that many universities have very firm deadlines for receiving applications. If you are planning to begin university in the Fall Semester, usually August or September, you should plan to have your application package submitted by February or March at the beginning of the year, especially if you are applying from outside the United States. Similarly, those programs that allow you to begin at the Spring Semester, usually January, will have deadlines for applications in August or September of the previous year. Applying to an American university, especially a graduate program, is a long, complicated process that is a challenge for domestic students let alone international students. But don’t worry, if you take the time to consider which university is a good match for you academically, financially, geographically, and culturally, you will find that the process is a great way to prepare for the academic rigors of studying at an American university. When you consider the value that a degree from an American university will add to your life and career, submitting a well-prepared application package is certainly worth the effort. Bridge University Pathways is the perfect place to start your path towards university admission! Contact Tim Samuelson (tsamuelson@bridge.edu), Academic Advisor, here at BridgeEnglish Denver for questions and more information. esl-blog Academic English Program, ESL classroom, learn English in the US, study English in the US, US universities. permalink.